Re-Employing America has partnered with 25 national and local employers to host a job fair Friday specially for unemployed or underemployed veterans, military families, women and minorities. The job fair will be held at the Washington Convention Center, 801 Mount Vernon Place, NW, on Friday from 10 a.m. to 6 p.m. Employers including American Express, The Coca-Cola Company, Children’s National Medical Center, General Motors, Sodexo, State Farm, Sibley Memorial Hospital, the U.S. Department of Energy and the Washington Metro Transit Authority will be on site. They will conduct in-person interviews in the following fields: administration, marketing, accounting, finance, information technology, human resources, healthcare, engineering, technical logistics, sales, construction, project management and more. People who want to attend the job fair should register and upload their resumes first. Register and submit a resume here. 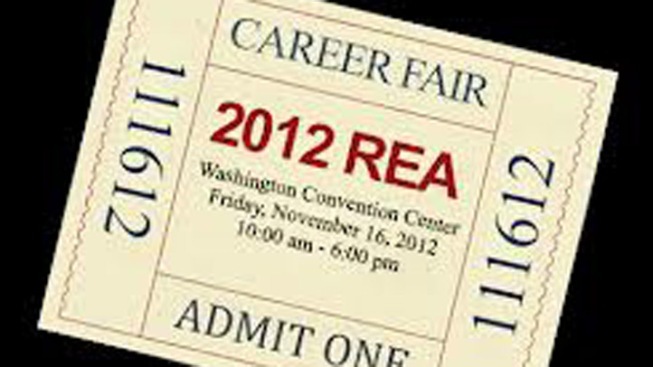 Then check out REA's tips for applicants at a career fair here. Once they've done that, interested applicants should come to the fair dressed in business attire - and bring copies of their resume. Applicants can also access free career advice, including resume, image and business etiquette coaching. Re-Employing America was established in 2012 to bring together corporations, governmental agencies, small businesses and other organizations with veterans, women, minorities and other potential employees to match qualified candidates with companies’ employment opportunities.